and your family. Don’t worry if it seems a little overwhelming at first, your SLX retailer will offer sound advice and great options when it comes to linings, headings, colours and much more. 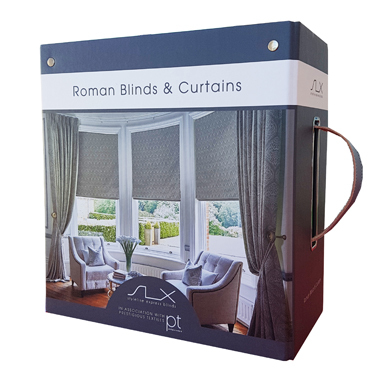 To set your home apart from the rest, and add an interior designer’s touch, you can choose any fabric you like from our SLX Roman Blinds and Curtains Collection. In exclusive collaboration with Prestigious Textiles it provides a large range of colour palettes and pattern options all in one location. 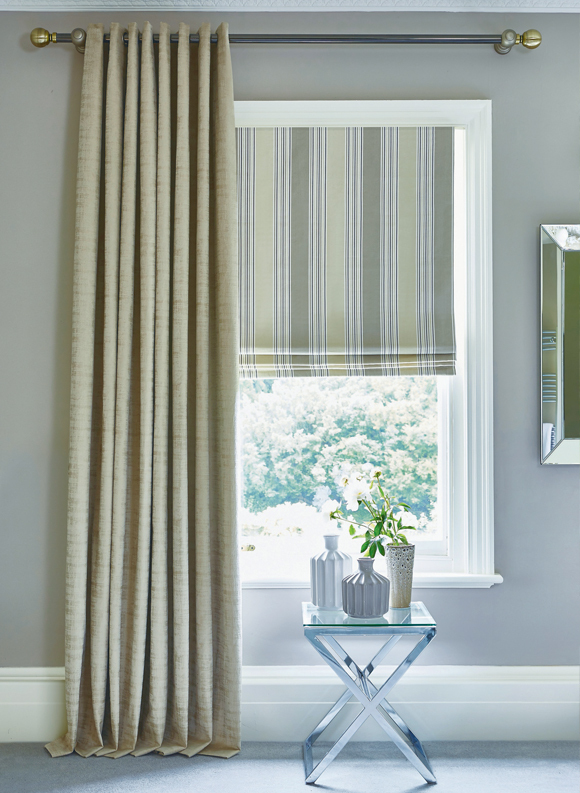 This partnering means you can get roman blinds in the same or complimenting colourway – the full window package! This is your chance to go for something unique, something beautiful and something specific for you and your home. Ready made curtains have come on leaps and bounds in recent years but if you want curtains that look new for a life time then there’s no denying custom is the way to go. 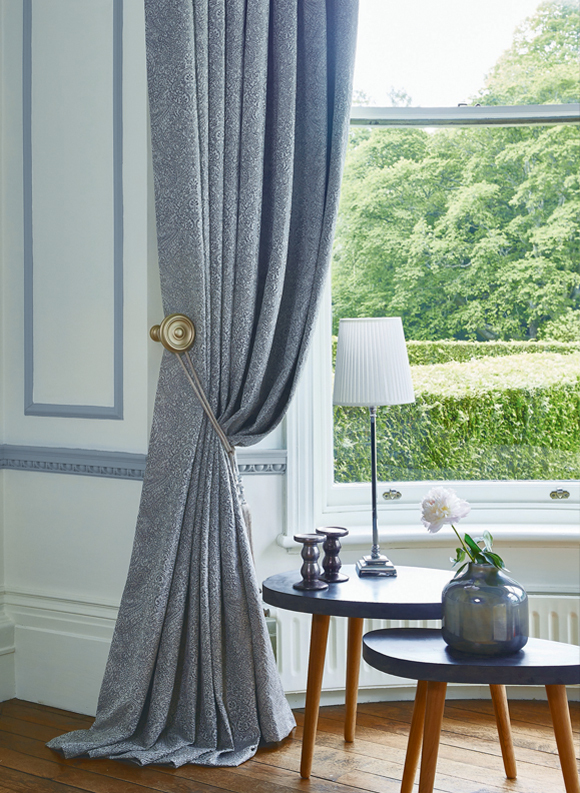 Quite simply, you cannot beat the luxury, craftsmanship and perfection of a bespoke custom curtain. The attention to detail with regards to lining, stitching and overall finish is reflected in the final curtain. With 66 designs and 176 colour options you’ll be spoiled for choice. With so many self-build homes across Ireland unusual window sizes are common, making it hard to buy a standard ready made curtains to suit. With custom made curtains this isn’t a problem; you have the freedom to measure for the exact window size, down to the last millimetre. If you’ve converted an attic, opted for sash windows or maybe installed a new bay window then custom made curtains at SLX are essential for a beautiful finish. Ask your SLX retailer if they have or can recommend a fitter to measure the exact size of your chosen window. This will ensure its perfect and tailor made just for you! Thermal Lining – a lightweight lining with welcome thermal properties to keep you room warm and protects from dreaded drafts. This option comes at no extra cost! Deluxe Sateen Lining – elegant sateen lining which has plush results. Silk Black Out Lining – that same as Deluxe Sateen Lining with the added benefit of being Blackout. Ideal for Bedroom and any rooms which have lots of sun light. Bonded Interlining/Blackout Bonded Interlining – these have a layer of wadding added to a regular lining or blackout lining as you choose. They add a thick luxurious look to your curtains, but are most suitable for fabrics that are a little stiffer due to the way they drape. As you can tell, the level of customised detail that goes into each and every one of our custom curtains is second to none. When you’re happy with all the personal specifications chosen for your curtains you can put your feet up. . . we’ll look after the rest. Find your nearest SLX Window Blinds Retailer today to find out more on your next pair of SLX Custom Made Curtains!